Yesterday, PLF submitted the latest in a series of public comment letters regarding amendments to the Local Coastal Program in Marin County, CA. Local governments situated on California’s coast may prepare such programs under the California Coastal Act. A Local Coastal Program consists of both a Land Use Plan and an Implementation Plan, and must be consistent with the Act’s goals and approved by the California Coastal Commission. PLF is currently involved in ongoing litigation against Marin County over language in their new Land Use Plan. While the County has removed some of the more burdensome provisions in the proposed Implementation Plan, our letter details some remaining provisions that are potentially unlawful or unconstitutional. For example, the amendments still require that each farmhouse be owned by someone who is “actively and directly engaged in agricultural use on the property”—essentially requiring landowners to participate in commercial agricultural markets for life. This mandate is at the heart of our current lawsuit against the county, and the proposed amendments only exacerbate the issue. Similarly, the proposed amendments would require a permanent restrictive covenant against subdividing the land as a condition for constructing a farmhouse. Furthermore, the proposed amendments contain provisions which would significantly reduce the development rights of landowners. 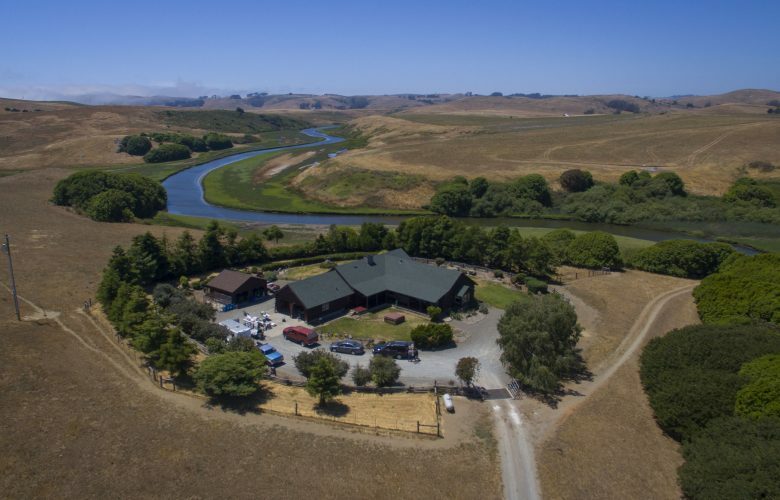 Under the existing plan, which was certified by the Coastal Commission in 1982, landowners may seek a conditional use permit to build additional residential units on their land—up to one house per 60 acres in the Agricultural zone. But the proposed amendments would limit the total number of structures to three units per “farm tract,” defined as “all contiguous legal lots under common ownership.” Because many agricultural landowners have multiple lots that cover thousands of acres, these provisions would effect a substantial diminution of development rights for agricultural landowners in Marin County’s Coastal Zone. Finally, the amendments leave nearly unlimited discretion for local government officials to say which agricultural activities count as “ongoing” and which do not—a distinction that determines whether farmers and ranchers will have to undergo the lengthy and expensive process of obtaining a coastal development permit. This definition will generate significant uncertainty about which practices require a permit—especially given the flexibility needed for commercially viable agriculture—and could shift the burden onto landowners to show that their historical farming and ranching practices constitute “ongoing activities” under the new plan. At its meeting on October 11th, the Marin County Planning Commission will listen to public comments before recommending action to the Board of Supervisors with regards to these amendments. We urge the Planning Commission to remove these potentially unconstitutional provisions before asking the Board to take any further action on them.